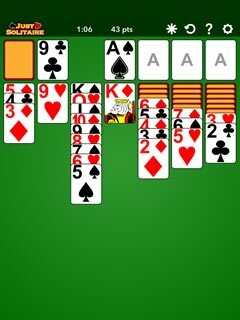 A full-featured version of Klondike Solitaire. 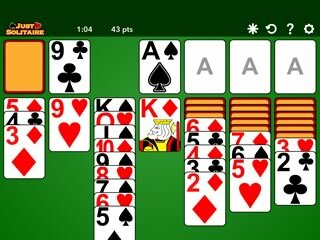 Play Klondike solitaire, the most popular solitaire game. 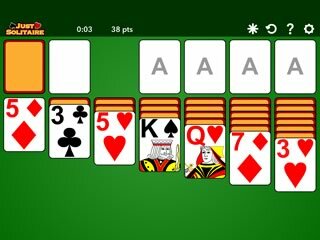 Also called patience or just solitaire. You can play by dragging or tapping. 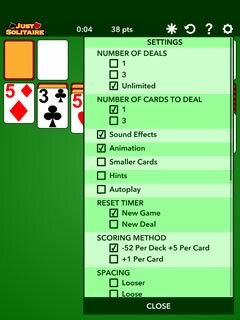 You can change the number of cards issued from the stock, and how many times you can turn the stock over. 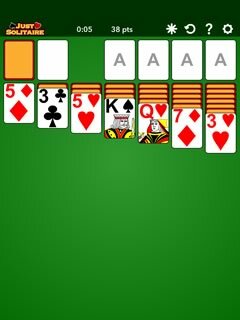 You can choose between different backgrounds, card designs, scoring methods and other options.